CRAPTASTIC: Five Feature Friday #2! Happy Friday! I hope you all have had a great week thus far! Today is an exciting day for me! I'll be attending my hubby's graduation ceremony from the Police Academy! I'm so proud of him!! Today is also exciting because yesterday was my LAST day of class as a PA student!! We have one week of final exams, then we start our clinical rotations! That's right folks, they're letting ME treat REAL patients! 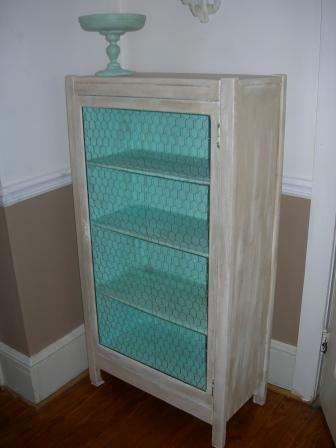 I absolutely ADORE this cabinet from Jane and Leo @ Cottage At The Crossroads! The colors are perfect and I love the look the chicken wire gives it! 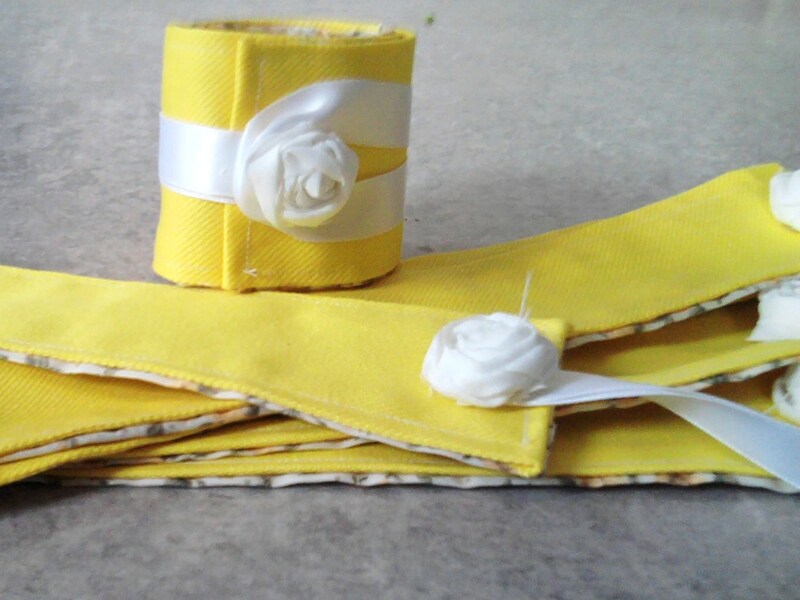 Rhiannon from My Handcrafted Home made these awesome napkin holders using scrap fabric! So simple, and such a great way to add a custom touch to your table!! This chair makeover from Artsy VaVa is awesome! 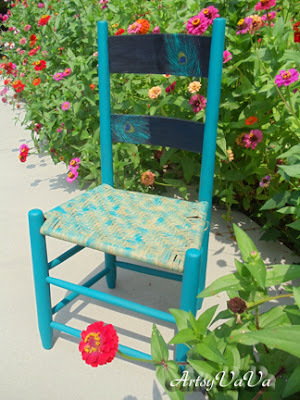 Her inspiration for this chair came from the screaming peacocks across the street! Haha! Pay her a visit to see how she did the peacock feathers on her chair! Love it! Maybe I'm just in baby mode for my cousin's baby shower, but I just thought this pink rocking chair from Angie at The Cellar Door Stories was precious!! The little sweetie she refinished it for is adorable too! Jordan at The Fun Cheap or Free Queen made this rosette letter for her on-the-way baby's nursery! What an awesome nursery - do you see that chevron pillow and bedding? Yes, please! Thanks everybody for all the inspiration! You guys rock! great pics, but mostly congrats to your husband! you guys are adorable! congrats to both you and your husband....sounds like a celebration is in order!!! Congrats to your hubby. My Hubby is law enforcement here in NM. He has been with the country for almost 15 years and loves it. Congratulations on all accounts! My dad was an officer for 34 years and is now happily retired. You guys are so cute! Congrats to your hubby and good luck with finals! And your patients will be lucky to have you! Congrats! What a cute photo! I love the rosette monogram and the nursery in general :) Thanks so much for sharing my napkin holders! I have grabbed your button. You cut your hair! Just like you said you wanted to do! Looks great, that's a great picture of you ;) And I'm excited for the both of you! Tell Chris congrats. Congrats to both of you!! 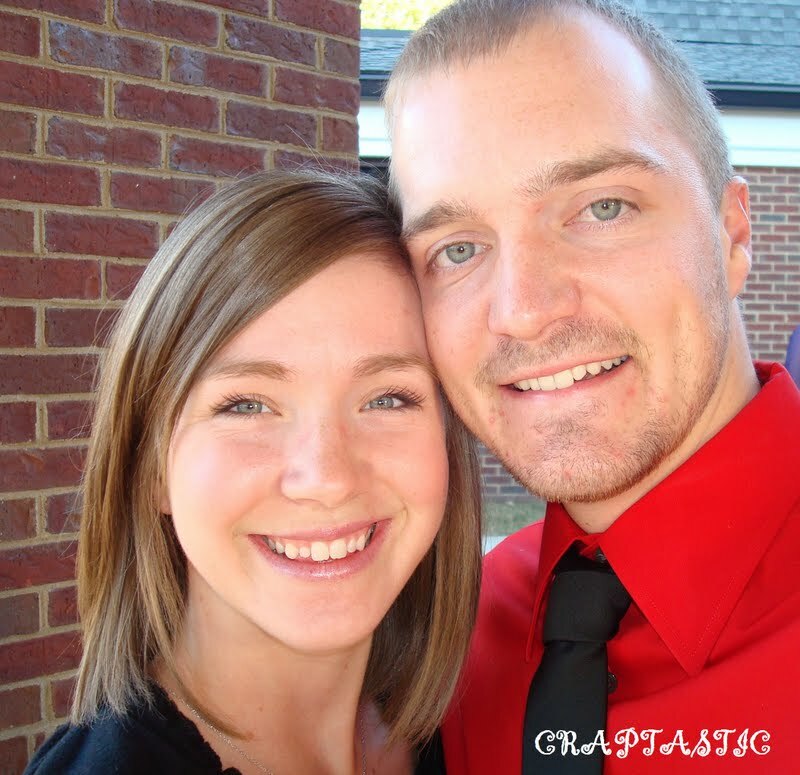 You make a VERY cute couple!! You BOTH rock. Happy Hugs all around. My Nephew is a police office in Pomona, Ca. Best to you! xo J. Thanks for featuring my nursery!! You should see the finished product, I just posted pictures. Lots of changes, but it turned out great! Thanks again!